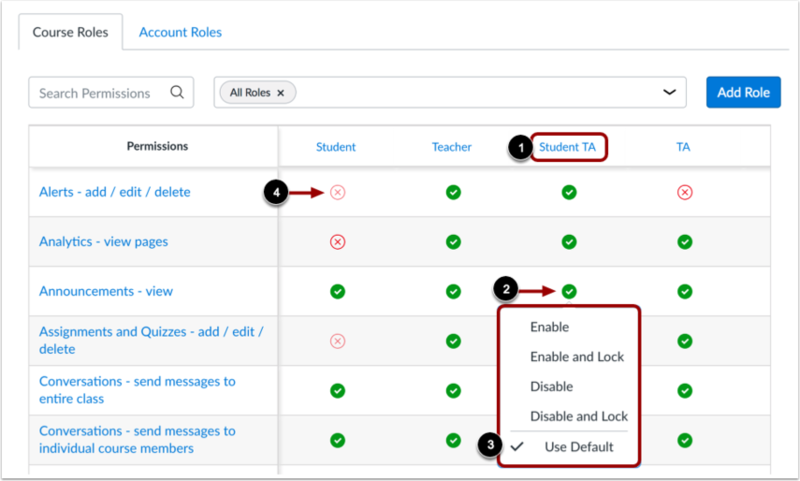 After you have created a course-level role, you can review the default permissions set by each course-level role. Permissions grant or deny access to specific features within a course and are applied to any user granted a specific course-level role. 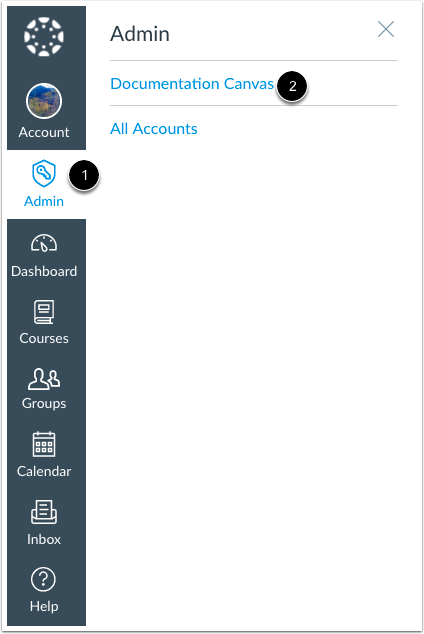 Users are added to a course role when they are manually enrolled in the course or via SIS import. Depending on the role, you may want to override the defaults to create custom permissions. To learn more about course permissions, view the Course Permissions PDF. In the Course Roles tab, locate the name of the user role . Click the icon next to the name of a permission . In the permission menu , the existing permission is indicated by a check mark. Choose the new permission by clicking one of the permission options: Enable, Enable and Lock, Disable, Disable and Lock, and Use Default. Locked options keep the setting from being changed by subaccount admins in a lower account. The new permission status is saved automatically. 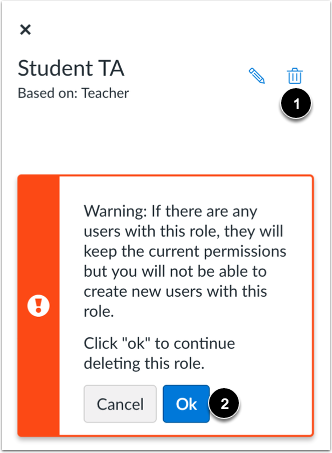 To view permissions for an individual user role, click the role name . In the sidebar, you can view the role name . If the user role is a custom role, you can also view the base role. 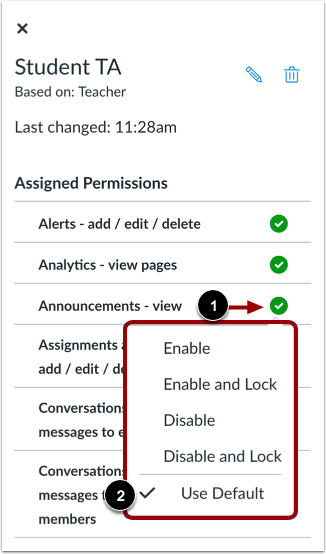 The sidebar also displays the time or date that permissions for the user role were last changed , and the user's assigned and unassigned permissions . 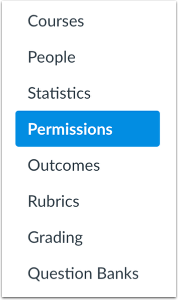 To manage user permissions from the sidebar, Click the icon next to the name of a permission . In the permission menu , the existing permission is indicated by a check mark. Note: If a permission icon does not display as opaque, you cannot change the permission. If you have created a custom user role, you can edit the name of the user role if needed by clicking the Edit icon . Edit the name of the user role , then click the Back arrow . Note: Base roles cannot be edited. If you have created a custom role, you can delete the user role by clicking the Delete icon . Review the warning about user roles—any users with the role you are deleting will keep the current permissions, but no new users can be created with the user role. Deleting a user role cannot be undone. To confirm deletion of the user role, click the Ok button. Note: Base roles cannot be deleted. 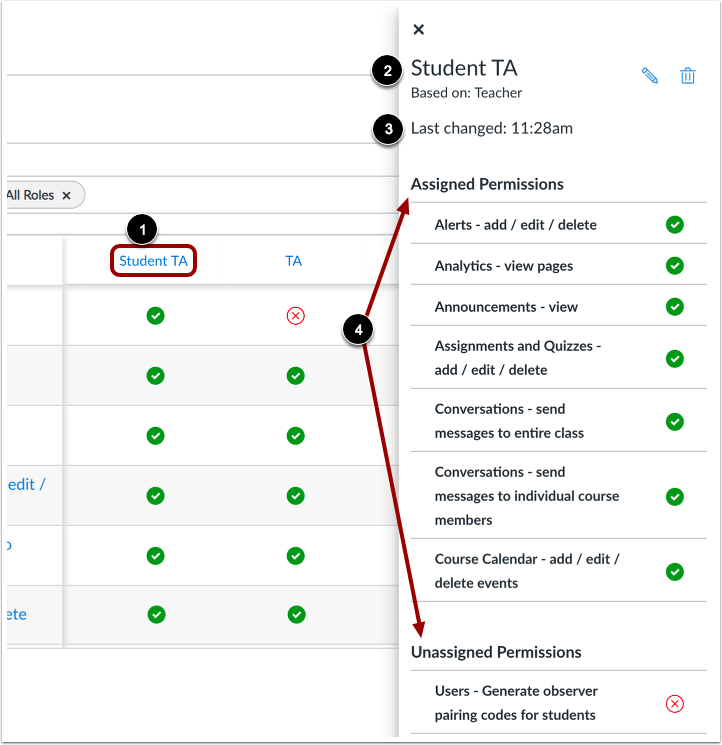 Previous Topic:How do I add a course-level role in the Permissions page? Next Topic:How do I manage rubrics in an account? 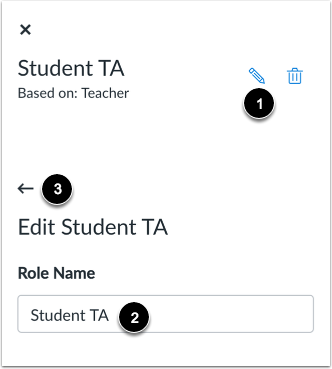 Table of Contents > Roles and Permissions > How do I set permissions for a course-level role in an account? Re: Is there a way to lock a rubric from being changed by the instructor? Re: How can we fix the issue where students can create their own conference?